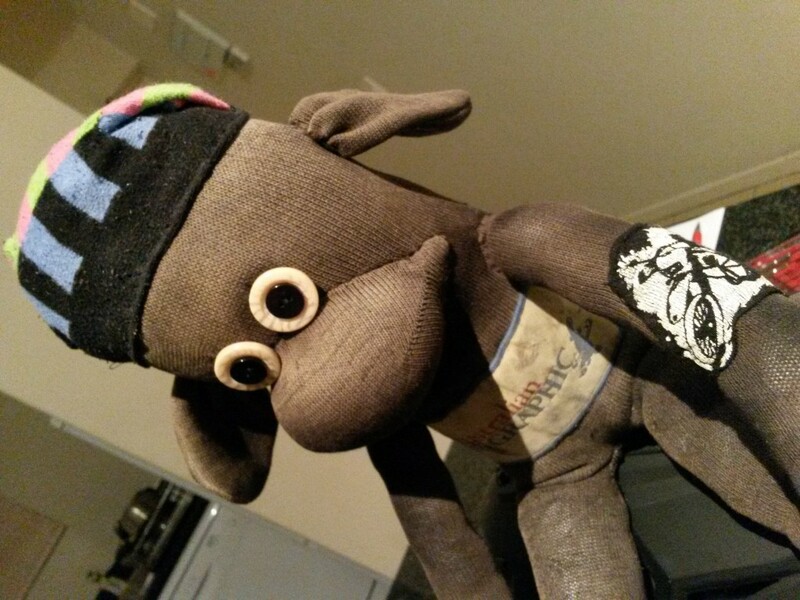 I decided to make sockmonkeys as my way of giving back to those who have helped me while I am travelling around the world. It might have just been something small, like sharing a meal with me. Or something larger like taking me into their home and sharing their typical life with me. By opening up their lives, their homes and their families, they have given me a better understanding of the how different the cultures I am travelling through actually are. I no longer looked upon the culture as an outsider but as someone who has insight, who has experienced the traditional life. Even if it was just for a single moment. There is something magical that happens when I pull out a pair of socks and slowly create a sockmonkey. The women gather around me and watch with large eyes. I can only image they are wondering why I am cutting up a good pair of socks! 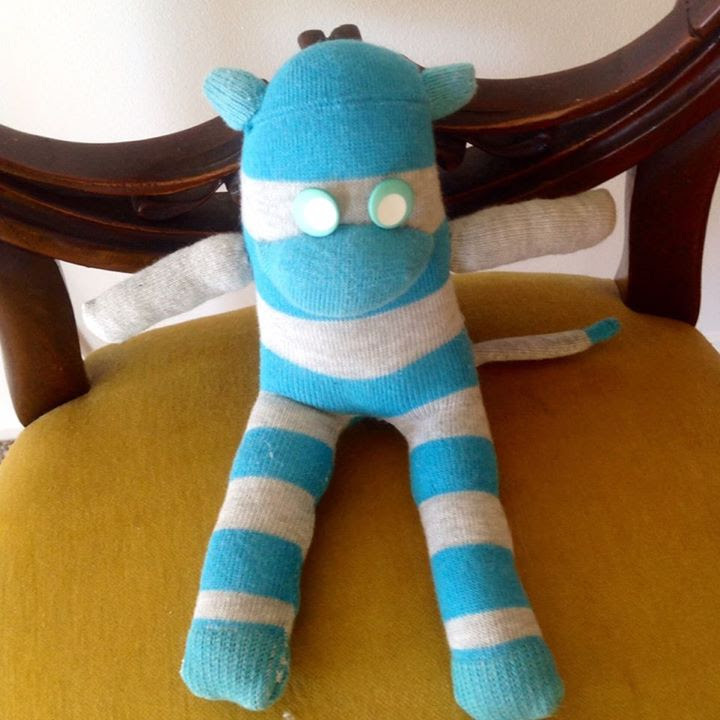 But once I have completed the sewing and turn the un-stuffed monkey out the right way. They see my creation semi-complete and get very excited. A bond between the women, myself and this unborn sockmonkey is created and the women then go on a hunt for something suitable to stuff the sockmonkey with. Sometimes they tear open their very own pillows just to see the sockmonkey completed. 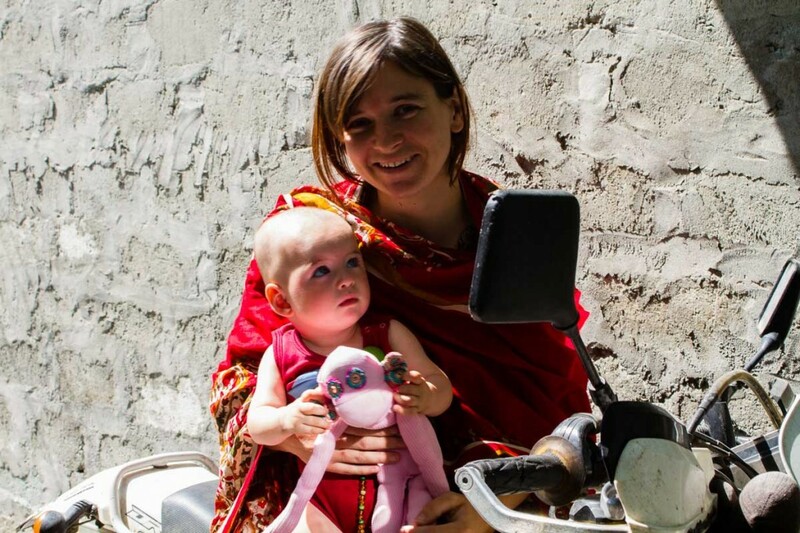 One of my best memories is being invited into the home of a seamstress in Pakistan. I sat in the center of the room on the piles of carpets and rough cushions for back support. I was surrounded by all the women in the neighbourhood and their babies. Sweet milky tea and biscuits were served and we began Pakistans first sockmonkey lesson. The seamstress’s caught on quickly and managed to turn out her sockmonkey in record time on the hand driven sewing machine, while everyone else giggled at their attempts and begged me for help. Not one of these women could speak english. None of them had a education above the age of 12 and yet we managed through my five words of Urdu and the use of sign language to complete a room full of sockmonkeys. For those who have shared their life with me, I would like to say thank you. You have given me so much more than that small moment in time or that a helping hand. 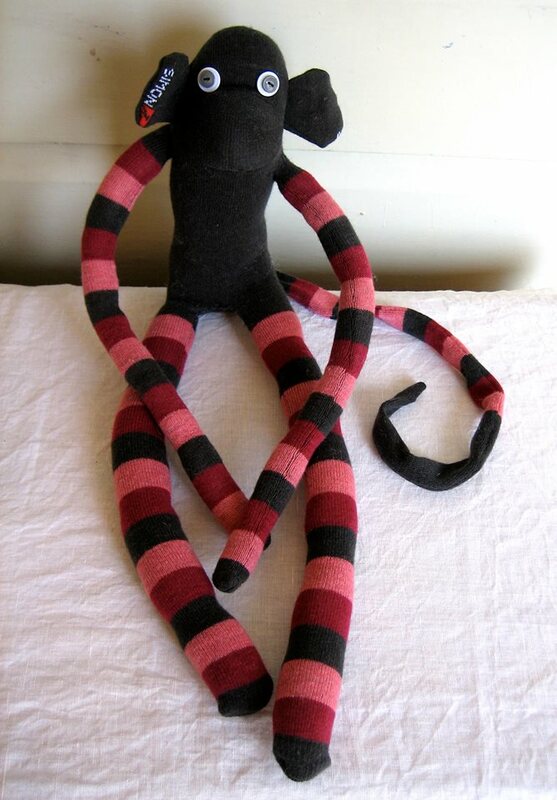 I hope you take my sockmonkey as a small token of appreciation. 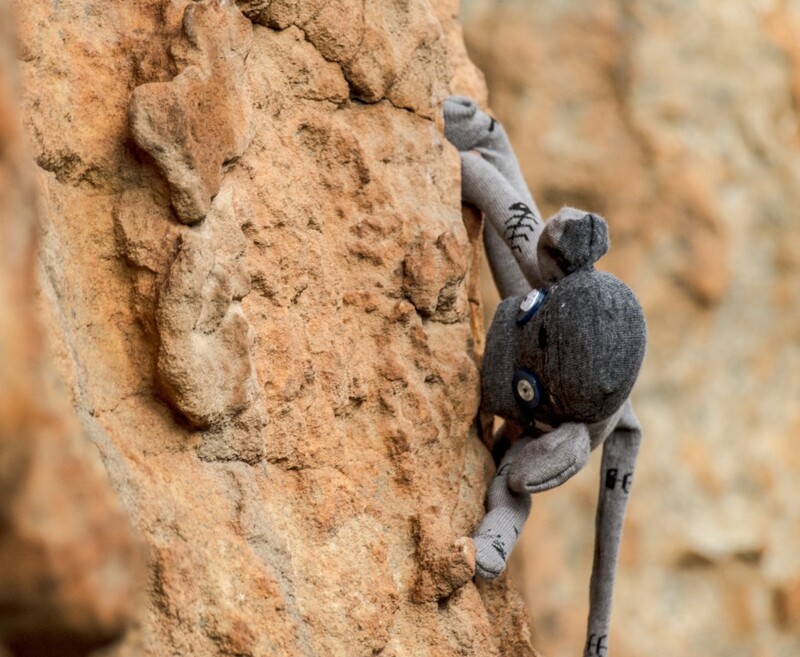 The Traveller - Some sockmonkeys I made go on adventures all around the world. 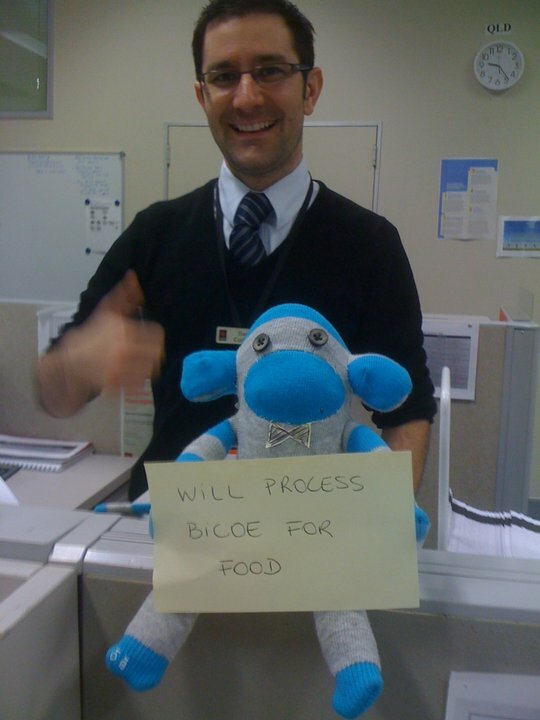 Chris and Dilu monkey has been to New Zealand and Japan! Teespoon - Tees sockmonkey is about to get on a plane and head to New Zealand. 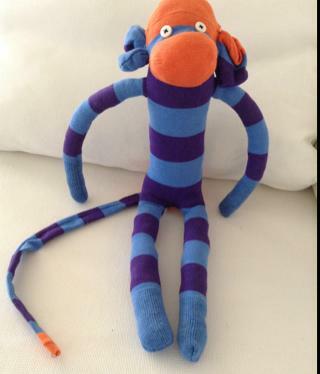 Dans Wee Boy - Dan decided to support me through purchasing this sockmonkey to raise fund for my adventure. Joels - Made In Pakistan This little girl was strapped onto the front of Joels bicycle and rode down the KKH and into Iran. 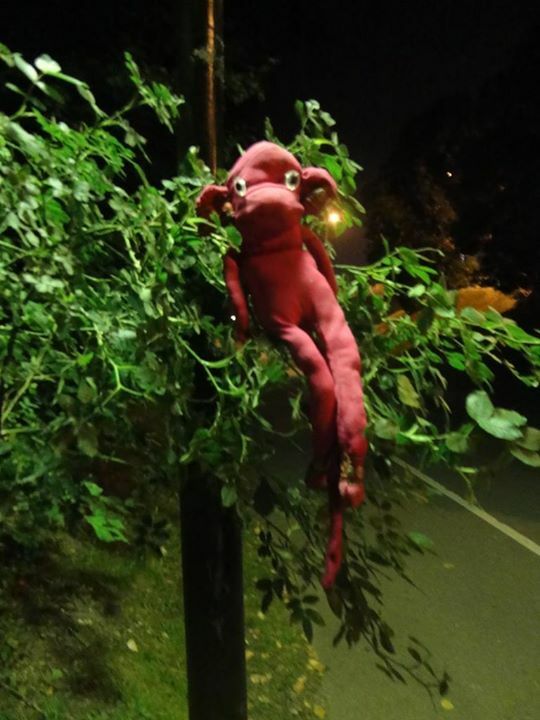 He is looking ragged here as he had just been stolen and thrown off a bridge. Lucky for him he landed in this tree. 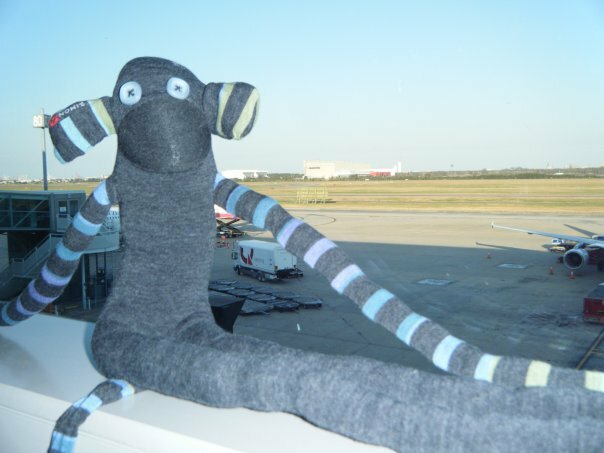 Barbs - This is another travelling sockmonkey. He has travelled all over Australia! Minkey - Nichelle & Christo took us into their home for one whole month. They taught us how to braai the South African way, go caving, rock climbing and introduced us to South African music. Mike - This little fella was given to Mike's Mum and Dad. They called him Mike to remind them of their son...My Mike. 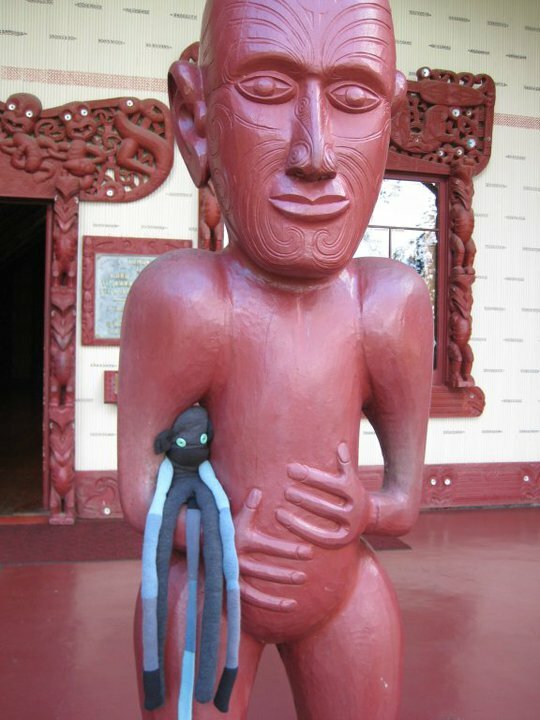 Goma - My aunty Chriss made this sockmonkey for me to take on this trip. He's got front row seat on my bike and every now and then adds a tattoo to cover up small injuries. Dutch Twins - I made these two for Patricia & Jan in India. We had a great day at the market sourcing the material to build them. We couldn't find stuffing so we used bean bag filling instead. Neda - I found Neda through couchsurfing. Her family took me in and showed me real Iran cooking. It was amazing! Simon - I made Simon for my Danielle (Aka D2) my flatmate in Brisbane. We spent many hours on our laptops, drinking wine and eating cheese! My Aunty Chriss Monkey. Hes the twin of Dans wee boy but this one lives out in the Australian countryside. 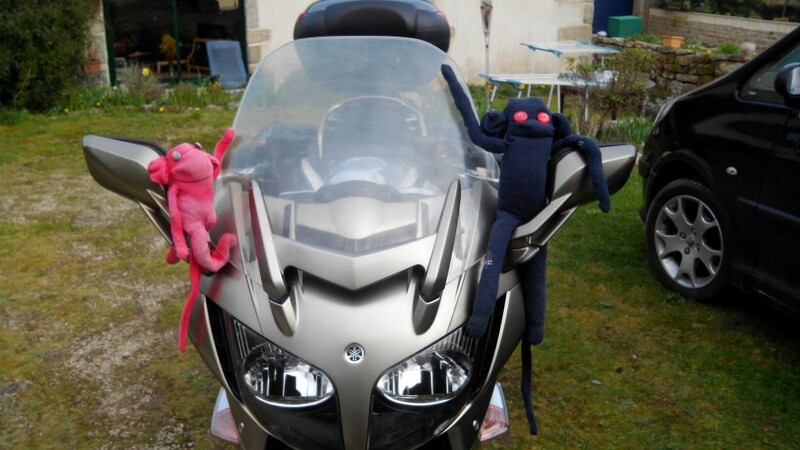 Lola Kunz & her pink sockmonkey. Lola is the youngest overlander I've ever meet. In this photo she was 9 months old! I meet her and her family in Pakistan in 2011.